What’s Behind Puerto Rico’s Slow Recovery from Hurricane Maria? Spoiler alert the answer is largely Puerto Rico itself. 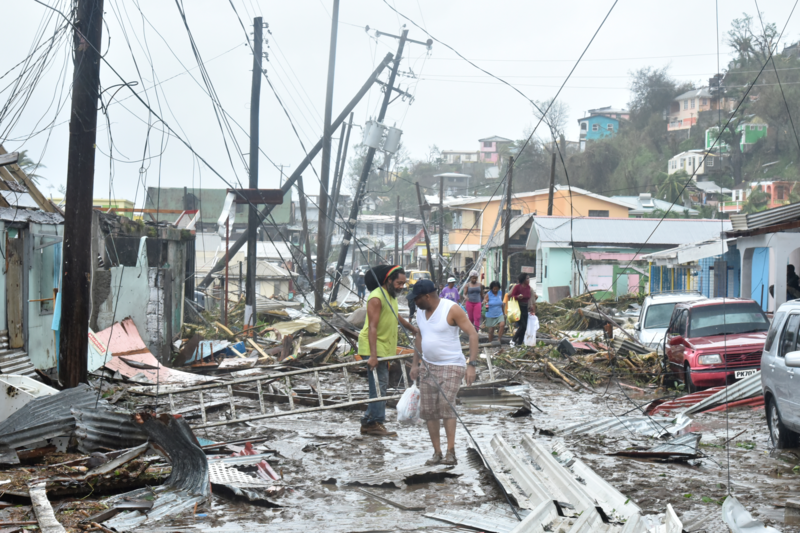 Hurricane Maria made landfall in Puerto Rico on September 20th of last year and from the beginning the idea of a quick recovery to any type of normalcy were shown to be impossible. The initial problem was getting the supplies and resources to the island as it sits approximately 1000 miles off the coast of Florida, the closest point of the American mainland. When they were able to get the needed equipment and essentials Puerto Rico still faced major problems transporting the goods as many of the roads were impassable compounded by the fact of getting people that were willing and able to move the goods where they needed to be. One of the first controversies that came up was when it was discovered that the Puerto Rican Electric Power Authority (PREPA) signed a $300 million contract with a small Montana firm, Whitefish Energy, to restore the majority of the island’s energy infrastructure. When Whitefish Energy was looked into, it was discovered that they only had two full time employees and had no experience at handing an event of this magnitude. It was further revealed that Whitefish, Montana was also the hometown of the Trump administration’s Secretary of the Interior, Ryan Zinke. After it came to light the contract was quickly voided and afterwards there was no reported follow-up on if there was collusion with Secretary Zinke or if this was just another example of the problems with PREPA’s pre-existing issues with keeping up with the power needs of the island. An unneeded sideshow to Puerto Rico’s ordeal arose when San Juan’s mayor, Carlin Yulin Cruz, felt the need to criticize the federal governments response to the crisis. As could be expected Donald Trump took the bait and engaged in a very public feud with Ms. Cruz which quickly made her the media darling of the moment with several appearances on the news channels. The fact that Ms. Cruz would be photographed in front of pallets of water and food and was often seen wearing custom made t-shirts in the electricity deprived territory didn’t seem to diminish her status. Puerto Rico’s governor is asking the island’s Justice Department to investigate a report that material needed to restore power to the island was overlooked for months in a government-owned warehouse. The U.S. Army Corps of Engineers told The Associated Press this week that the lack of some pieces later found stockpiled in the warehouse had delayed energizing certain lines. This is just one more example why states and territories need to stop relying on the federal government to solve all their problems and learn that, for the best results, they need to rely on themselves.